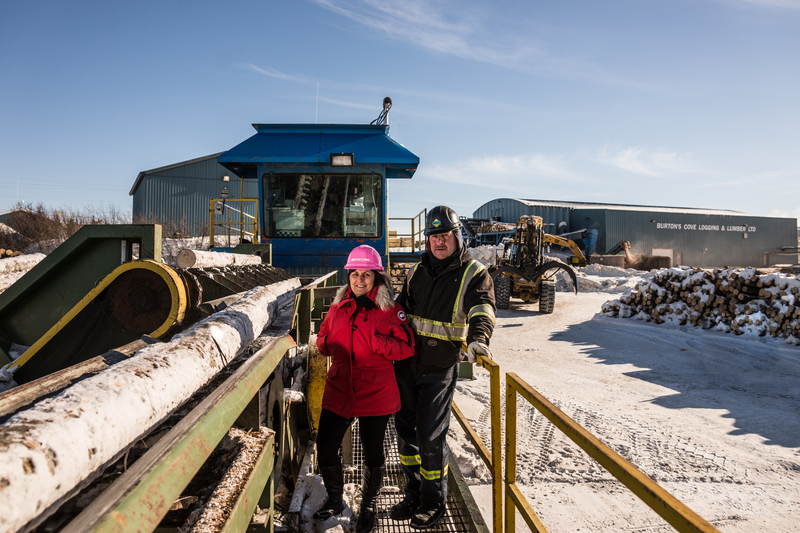 Born from a desire to make a living at home, the entrepreneurial career of Fred Osmond, owner of Burton’s Cove Logging and Lumber Ltd, began with a single backyard sawmill. Now, more than 30 years later, Osmond’s company has become the largest employer in Hampden, with more than 40 onsite workers from the region. Over the years, from when the company was still establishing itself to today as Fred looks for new opportunities to grow, Burton’s Cove Logging and Lumber Ltd, has worked with the local Community Business Development Corporation (CBDC). CBDCs provide a variety of services to help entrepreneurs start and grow their businesses including financial assistance opportunities, business counselling and advice, entrepreneurship development and training, technical assistance, and advocacy. During the 2016-17 fiscal year, CBDCs in Newfoundland and Labrador have disbursed more than $20 million to help start, maintain, and modernize small businesses throughout the province. Over the past year, this funding has helped leverage an additional $14.5 million in funding from other sources and create and maintain more than 860 jobs. In the Humber region, CBDC has provided more than $1.3 million to businesses, resulting in the creation of 29 new jobs and helping maintain one existing position.